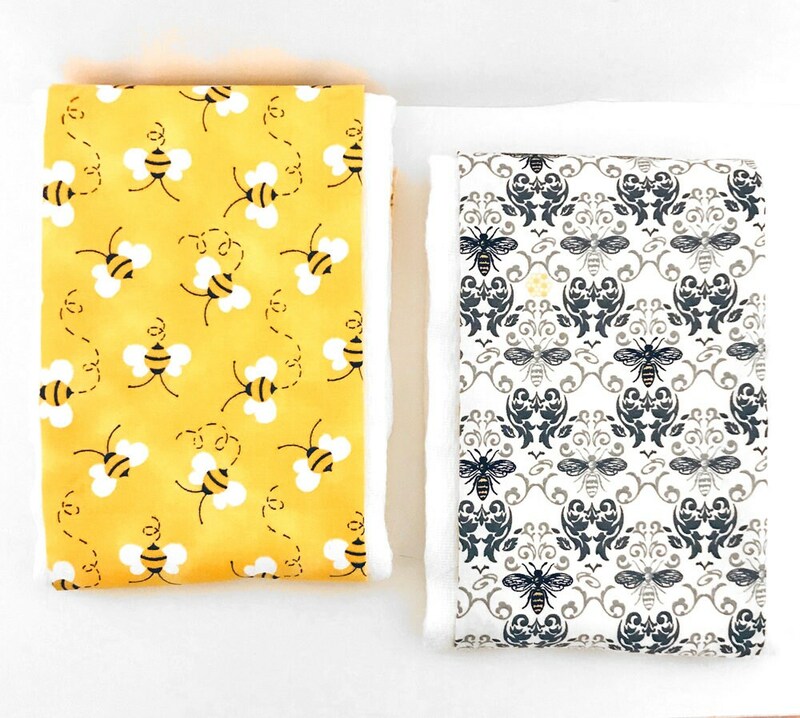 A fun set of two burp cloths with fabric center panels in cheery Bee prints. 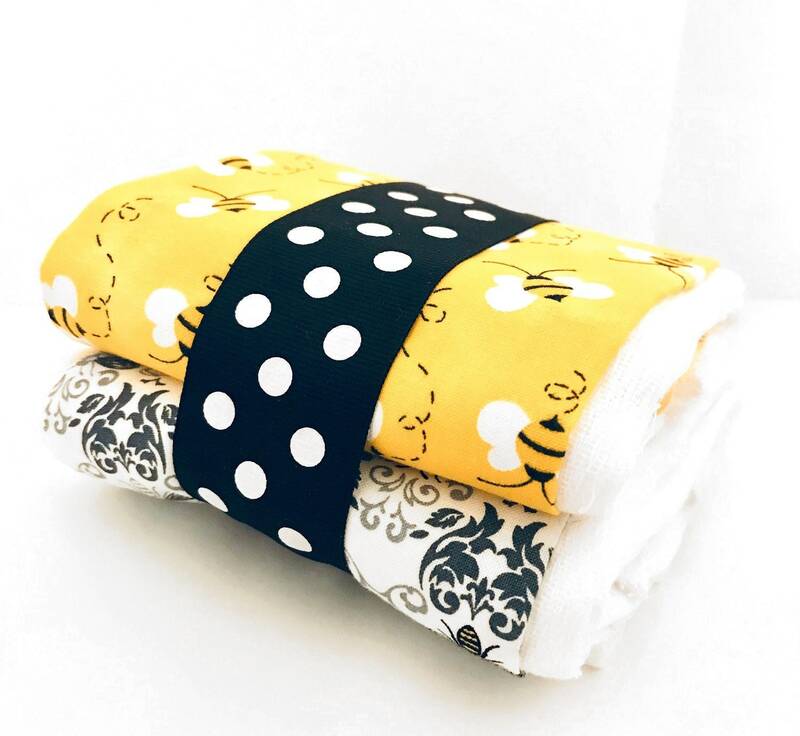 These high quality burp cloths are handmade just for you. They are pretty enough for special outings but durable for every day use. Also makes a great baby shower gift!